I'm still finding out what I'm about but I think it has something to do with writing and connecting with people and serving God. I don't believe I have to understand it all in order to do it and am pretty content with what comes my way, day by day. I believe there is a God who created all of us, the world we live in, the science we think disproves Him, well, everything. I know my natural tendency is to think I don't need God and I need to be saved from that. I know I need a savior and I'm thankful I have one. The small glimpses I get from the here and now of what my real home is going to be like when God restores it all - that's what fuels me, stirs my sense of adventure, and keeps me going. Until then, I write about what is. I’m including a post about Colin Fletcher, yes, because his last name begins with F, but also because he was somewhat famous for hiking. In spite of being interested in hiking for quite some time, I had never heard of Mr. Fletcher, so I was surprised and intrigued to find out that he’s considered the grandfather of backpacking. He was one of the first persons who thought long and hard about where he was hiking, how to get there and what to take along. His book “The Complete Walker”, a sort of hiker’s bible, has sold over 500,000 copies and is still in print. So, as a result of studying up on him, I now have a new reading list that I can’t wait to get into! See it at the end of this post. Fletcher was born in Wales, educated in England and did time in the military in World War II. He also spent time teaching in a Mountain Warfare Training Camp and living in Africa, surveying and helping to build roads. He did some prospecting in Canada, which led to a move to San Francisco in 1956. He hiked the nearby mountains. By this time, exploring and getting out alone into the wilderness was in his blood. This is funny. His first extended backpacking trip in 1963 was from Mexico to Oregon, all along the eastern coast of California. He did what he called “contemplative walking”. According to the NYT obituary, he took this hike to think over whether or not to marry his girlfriend. He did end up marrying her but it only lasted a few weeks. He probably should have taken a longer hike and contemplated more. Daughter Julia and I are out for a “contemplative walk”. He wrote his first book about this experience and called it “The Thousand Mile Summer”. His second book, “The Man Who Walked Through Time” was written about his hike from one end of the Grand Canyon National Park to the other. He was the first to do the complete length in one hike. The park at that time didn’t include the entire canyon but it was 200 miles in length. Apparently, with all the zigzags and explorations, he walked closer to 400 miles. Colin Fletcher also traveled the complete length of the Colorado River, from source to sea, when he was 69 years old. His book “The River” is said to have his reflections on growing older. It sounds like all of his books, in addition to having detailed guidelines on wilderness backpacking (solo), have a lot of philosophical musings. A bonus, all of the reviews say his writing is witty and enjoyable as well. I can’t wait to read these books! Colorado River – I have a huge poster of the Grand Canyon, a gorgeous picture, that I bought on that first, brief trip past the canyon. Since then I’ve learned that it’s actually the book cover of “Time and the River Flowing” by Francois Leydet. The book is full of photos of the canyon, and quotes and stories from its explorers. The “river flowing” is the Colorado River, and I thought I should know something about it before the hike. Beautiful pictures with quotes and excerpts from those who have written about the river from the conservationist viewpoint. It’s one of two major rivers that cross the southwest of our country, the Rio Grande being the other one. It’s part of amazing scenery everywhere it runs as evidenced by the 11 national parks that it goes through. It starts in the Rocky Mountains of Colorado where 90% of its water is snow melt, the rest coming from tributaries along the way. It’s a very managed river in that there are many dams, reservoirs and claims on its water for irrigation of crops. By the time it passes the surrounding crop areas in Mexico, on its way to the Gulf of California, every bit of its flow has been apportioned. The last 100 miles are dry most of the year. It used to have a delta and tidal bores much like other larger rivers. It provides the water needs for 40 million people in towns and cities along its course. The Colorado River was one of the forces creating the Grand Canyon. It’s mind boggling to view the depth and breadth of this chasm and realize that the water, way down there at the bottom, was responsible for this wonder of nature. It took a long, long time. I found this quote that illustrates just how long it took to form the many layers of rock, compared to the time the river has been doing its work. I’m told the river is cold, swift and has lots of exciting rapids. We will get to hike along it, perhaps wade in it a little on the day we explore the bottom of the canyon. I can’t wait to see it. Adventure. I am always looking for it and will tell you that I think of myself as an adventure loving person. I do. In that regard, I have a bucket list of adventures and experiences that I try to work on every now and then. On my list for this spring is to spend time hiking to the bottom of the Grand Canyon. Years ago, I drove to a family reunion in the “four corners” region, an interesting geographical area, where four state square corners meet. There is a monument there explaining that as you look in different directions you are seeing Utah, Colorado, New Mexico, and Arizona from that one spot. It is not far from the Grand Canyon so we added a side trip. We had not arranged any excursions ahead of time and were only able to take a shuttle ride along the south rim, but that was enough. The views from the rim are breathtaking and the thought of starting down that trail was so compelling it has stuck with me ever since. I knew I had to do it, someday. As it happens, one of my brothers spent summers working at the canyon, in various capacities, when he was younger. It has been one of his favorite places over the years and he has hiked nearly all the main trails. I finally gave up waiting for him to ask me on a hike and begged. It worked. 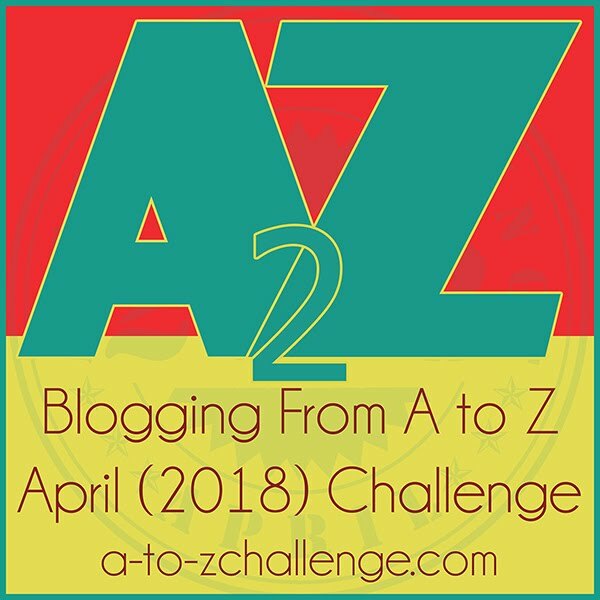 This year’s A to Z Challenge will cover the inspiration, the preparation, the expectation, and the anticipation of my hike down the South Kaibab Trail, my two nights at Phantom Ranch, and the hike back up on the Bright Angel Trail. Since the hike won’t actually take place until May 14th, I’m planning on adding “participation” notes and pictures to my posts after I return. There is a lot to consider, a lot to learn before going. We have been planning for months already. My brother is taking good care of me as evidenced by the guided trip he chose for us. It is the Grand Canyon Conservancy’s Take a Load Off: Mule-Assisted Camping 0514. In addition, I’ll be spending a few nights in the Mather Campground on the south rim before and after the hike. 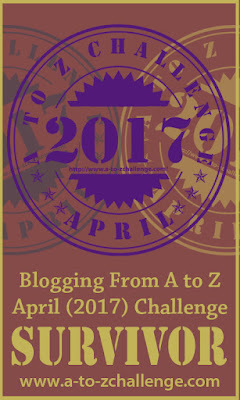 Read along on the next 25 posts and you’ll know how to get ready for it too. You will want to go. It will be an adventure! And so we start on our adventure! One of the nicest things about living in a small town is how close I am to almost any kind of service I need or want. In the few months I have lived here I have thought on this many times. Take today, for instance. And honestly, you could take today, because it was almost a waste for me, due to a headache that hijacked my afternoon. If it had not been for my evening grocery walk, I wouldn’t have much good to say about this Monday. I emerged from “headache fog” late in the day to be reminded by the husband that we had no milk. I thought of a few other things that should be on the list and decided to go shopping after supper. Walmart is literally in our backyard, and a second grocery store is about a half mile away, so I took my back pack and walked in search of food. The store farthest away had one of the items I most wanted to get, so I went there first. The cool air and the act of moving myself rhythmically felt very restoring. It reminded me of the “contemplative walking” I had heard about in doing research for my upcoming Grand Canyon hike. Walking does give me time to think, and thinking makes the distance go so fast. There is also the benefit that I see things with time to look at them, unlike when I’m driving past. Passing Dairy Queen again, I decided to check the DQ app on my phone and, sure enough, I had a coupon for a $.50 cone. I was feeling kind of guilty for not having change with me and having to use a credit card for that small amount, when I checked in my pocket and realized the credit card was no longer there. By now I should realize that when I pull one thing out of my pocket, the phone, more than one thing sometimes comes out – it’s not the first time this has happened to me. I knew it had to be a few yards back, on the sidewalk, but even so I was surprised to find it. It’s a strange feeling to see something you normally guard with your life, glinting in the sun in the distance on the dirty sidewalk. I thank God, I did get my $.50 ice cream cone and it was good. The last stop, Walmart, added milk, celery, and raspberries to my pack. A short distance later I was home again. Why am I writing about this? Because it amazes me and makes me feel noticed when God allows a simple thing to come along and brighten my attitude. Often, he uses a change of scenery, getting outdoors and doing something active to restore and help me feel better when I’ve felt miserable. There will always be times in my average life that are not so great, but God balances them and somehow leaves me feeling blessed and aware of his kindness towards me. It doesn’t take much.